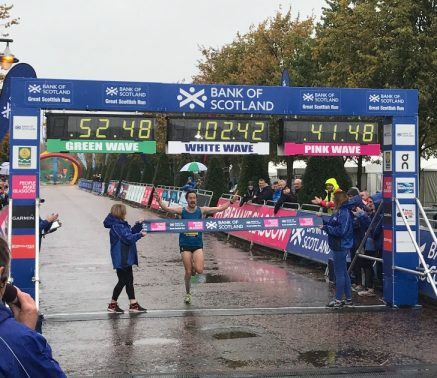 1st October 2017 – Chris Thompson (GBR) showed that experience can count for a lot as he caused an upset at the Great Scottish Run. In wet and tricky underfoot conditions Chris sat off the early pace before joining the leaders and then pushing on around the 4 mile mark. From here he just went further and further clear and was able to enjoy himself during the closing stages, crossing the line in 62:44. Despite upsetting the defending champion and Scottish athlete Callum Hawkings Chris was still a very popular winner, as a long term stalwart of the British running scene and many familiar with the injury problems he has had to overcome. This victory comes just one week after he also won the Robin Half Marathon and sets him up nicely for the Manchester Half Marathon in two weeks time.